Ser Tso( Golden lake ) on the way to Kecha La. As you descend into Paro, you’ll get your first good look at the stunning Himalaya Mountains. Once you land, one of our Bhutanese specialists will be waiting to take you to the Mandala Resort. We will then show you the town and visit the National Museum. We start the day by driving to Drukyel Dzong, a 17th-century fortress built to defend Bhutan from Tibetan invaders. We continue to Shana, passing by lush farms and traditional Bhutanese stone and timber houses. We begin the trek, taking a brief break for lunch before continuing to our overnight camp at ThonduZampa. 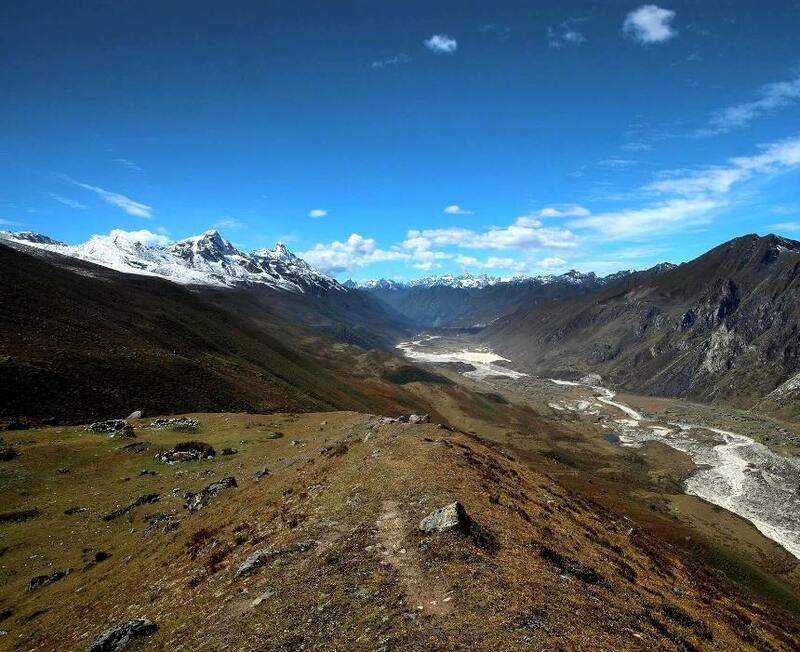 On the way, you'll catch your first sights of Jhomolhari’s7,314-meter-high peak. This day is reserved for adjusting to the local climate. 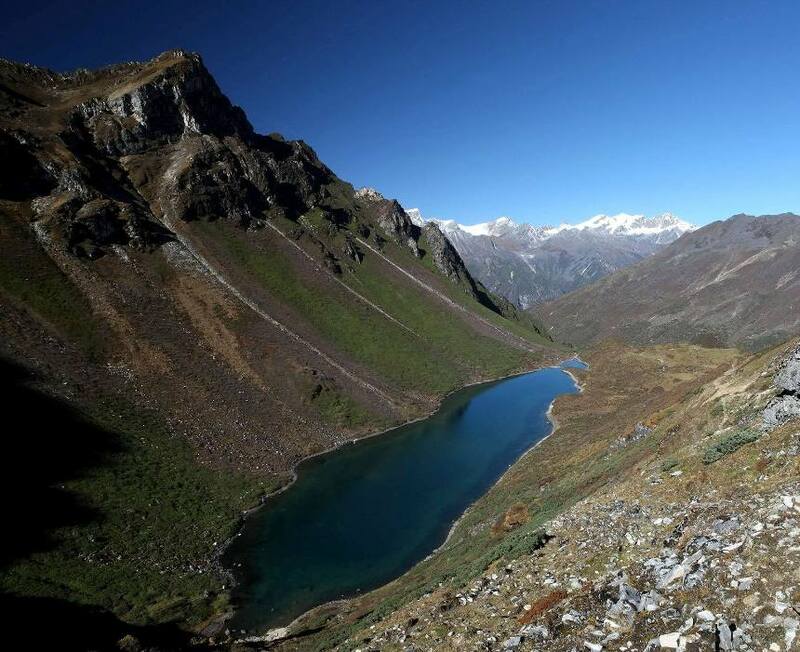 You can explore the valley around Jhomolhari or travel toward the Nylie La pass and see scenic Tshophu lake. 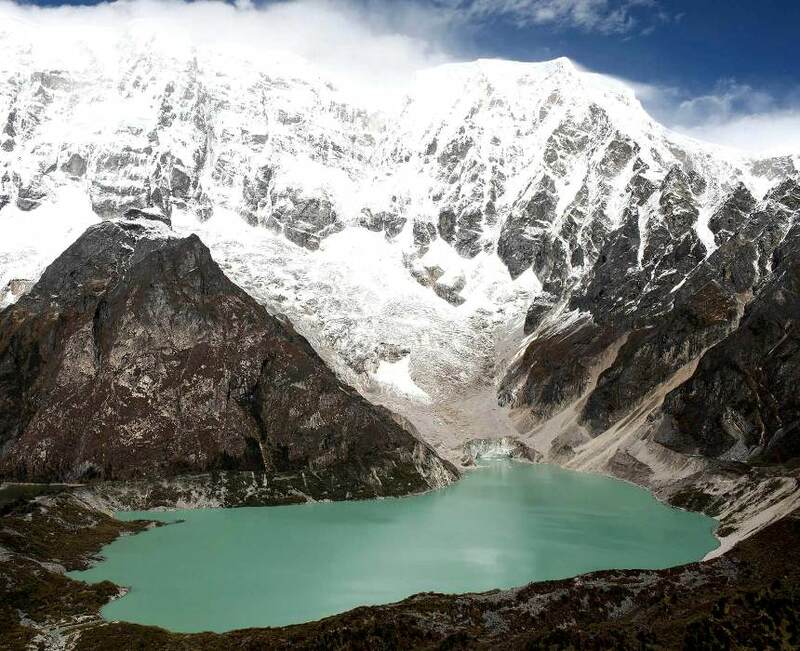 Today’s trek will start with a three- to four-hour-long climb before reaching Nyile La Pass at4700 meter. Expect spectacular views of Jhomolhari, Jitchu Drake and Tsheri Kang.Also in the distance will be Tiger Mountain. Altitude 3880 M. Distance 10.5 miles. Time 6 – 7 hours. As we move northeast, we ascend through pastures of daphne and rhododendron until we reach the village of Chebisa. From here, you can take in the cascading waterfall, juniper trees, and other natural wonders. Camp at Chebisa @ 3750 M.
Today, we’ll start with quite a stiff climb through high pastures up the Gombu La Pass (4440M) before dropping through forests of dwarf rhododendron, where the ground can be slippery. 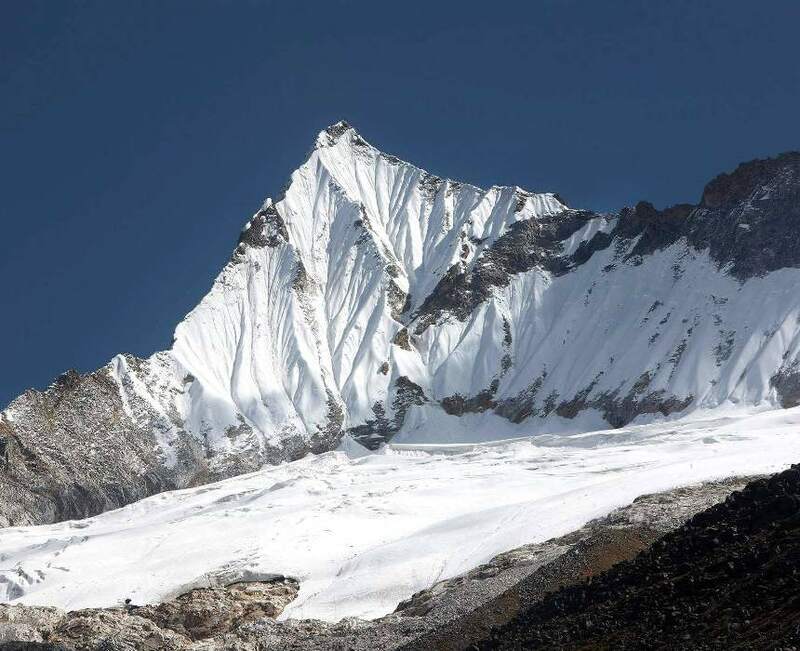 Today, we’ll spend at least three hours climbing before reaching Jare La Pass (4750 M) where, once again, we’ll take in some stunning views of the Himalayas including Sinche La, Tiger Mountain and Jitchu Drake. We’ll then drop steeply down a forest trail to the Tsharijathang Valley where herds of takin (the national animal) and many yaks roam. Altitude 4070M Distance 13.6 miles. Climbing Sinche La on the Way to Lemithang, we spend 4 hours climbing Sinche La Pass(5005M) a steady pace, and then descend through dense forests and valleys of boulders and grass. 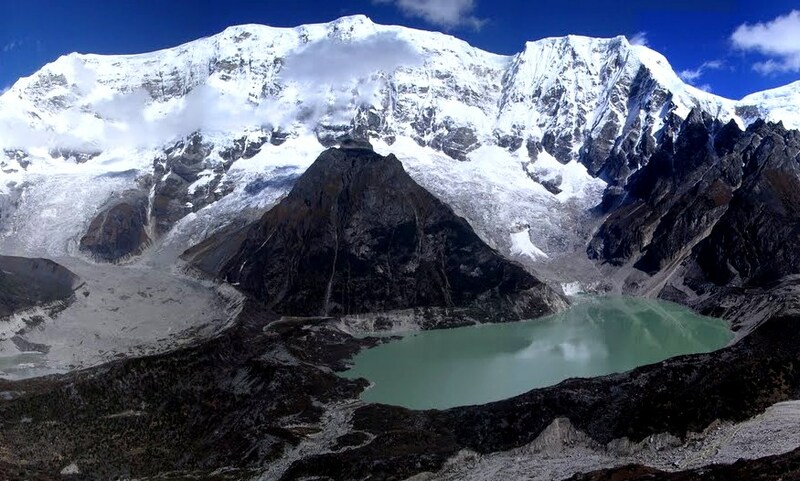 Today’s stunning sights include the peak of Gangchenta, as well as white streams and blue glacial lakes. Today we take a break from our trek to experience Laya. You can shop, visit the local school and temple, practice threshing wheat, and learn all about this unique community. We wake up early to get a jump on today’s steep uphill path, moving through the Army camp and across the river. We pass through a thick forest of oak, pine, and rhododendron toward the river valley, where mountains cover the horizon. If the weather is clear, we should have great views of the Tsenda Gang group of mountains. 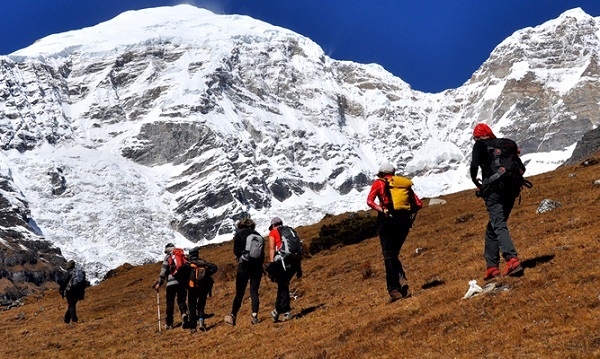 We’ll tackle the approximately three-hour climb to Tsemo La Pass (4900 M), which starts out with a gentle ascent and gets steeper closer to the pass. 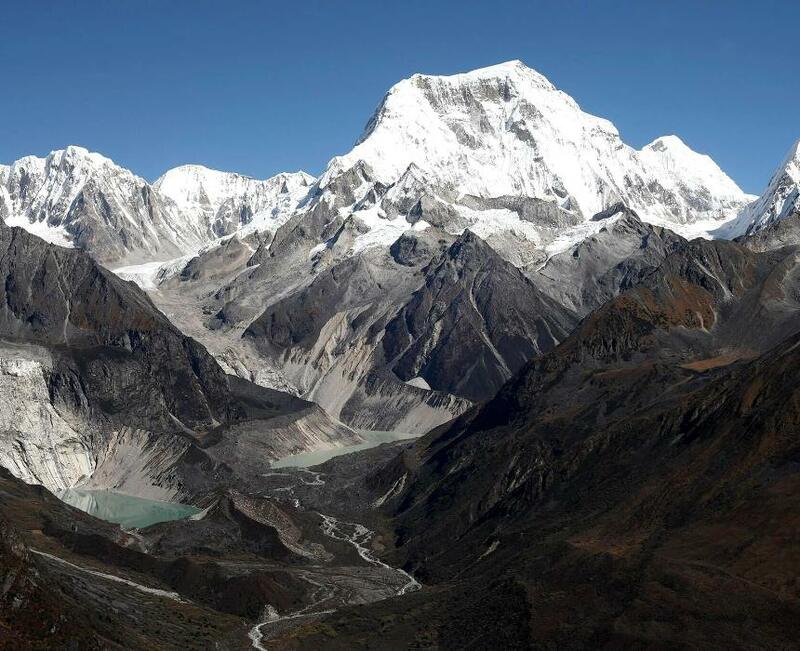 But from the pass we may be lucky enough to see the spectacular GanglaKarchung as well as Jitchu Drake and Jhomolhari. Altitude 4900M. Distance 6.2 miles. Camp at Tarina 3800 M.
Across the Gap of Keche La(4700M), we begin by traveling another 200 meters through a stiff climb then takes us to Yumtso and Setso lake the gap of Keche La, and then break briefly to take photos. We start to descend, enjoying the warmer weather as we pass by the villages of Thega and Lhedi. We end in the village of Lhedi, one of the principal communities of Lunana and an ideal place to learn about the region’s culture. Today we trek a full 18 miles in the direction of Tshochena. 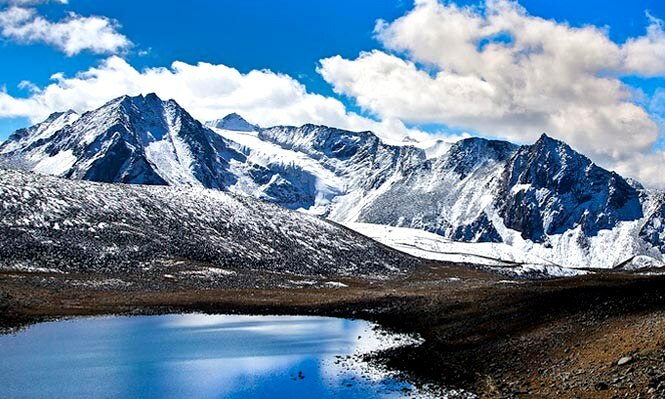 The landscape on this path is one of the most intriguing parts of an already stunning area, with glacial lakes, rocky expanses, blue sheep, snow leopards, and an array of other wonders, both living and inanimate. Just be wary of the weather; in this region, it can change from sunny to snowy at a moment’s notice. Through LojuLa,today we go through the Loju La and trek around a number of mountain ridges. Because few of the peaks in this area have been climbed, you can enjoy nature’s unspoiled beauty. The day ends at a camp in the grassy tundra, with rocky expanses on one side and streams on another. Camp at Jichudramo at 5060M. 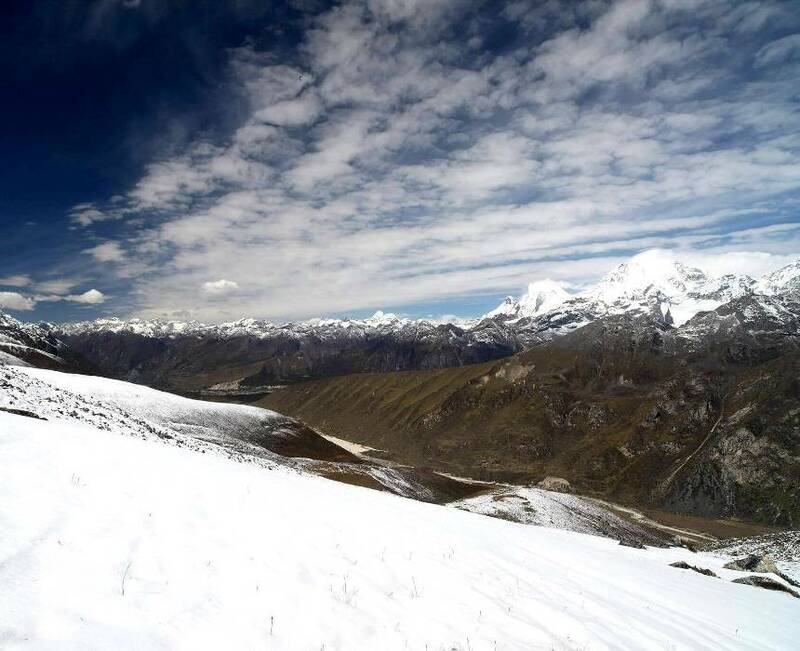 On this day, we cross the highest pass on the trek: Rinchen Zoe La, which reaches 5,326 meters. We then move across a plateau and into a forest clearing, where our camp is located— taking photos of the stunning scene along the way. Today, we weave around boulders and along a river before crossing a forest packed densely with birch, pine, maple, and rhododendron. We end the day at our final mountain camp. We begin by moving through the Tempe La, the last mountain pass we will see on this trek. We then descend a steep hill toward our camp, viewing the Om Tsho lake, the Nikka Chhu, and other sights along the way. Today, we follow the Nikka Chhu river through a dense, cool forest toward the settlements of the Sephu district. Our ride will then drive us to our lodgings in Gangetey, bringing an end to the trek. We will eat one final breakfast together to mark the end of the trip, and then bid each other farewell.